This is an innovative design based on scientific research by NASA, representing all the quality you'd expect from the Cliff Keen name. Tested by some of the best wrestlers, this is piece of headgear that can be relied upon. 80% better hearing ability with Greater Audible Sound Technology. 43% lighter weight than other traditional headgear. Air Vent System to help keep you cool even during demanding matches. PowerTab strapping system gives a snugger and more comfortable fit. Ear cups with extra depth for ultimate protection. 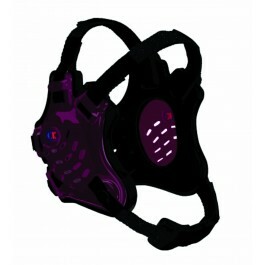 Available in numerous color ways; the first color is the ear guard, the second color is the pad, the third color is the straps. Cliff Keen Custom Tornado Headgear A revolutionary design based on NASA research, created by the most trusted name in wrestling, and tested by some of the best on the planet.